Tanika Gupta’s sparkling new version of this classic 1916 comedy finds a new home amid the 1980s Ugandan-Asian rag trade. If tailor Hari Hobson isn’t bossing his daughters about in his Northern Quarter workshop, he’s putting the world to rights in his local pub. His oldest daughter, Durga, is the brains behind the operation. But when Hobson says that Durga is too valuable to lose and must give up all idea of getting married, she takes her fate into her own hands and opens a rival shop nearby. Cutting through generational divides, it shows that in family life, some stories never get old – and some things never change. PERFORMANCE TIMES: Matinees, 2.30pm / Evenings, 7.30pm. Half Price Previews - Friday 31 May, Saturday 1 June, Monday 3 June and Tuesday 4 June, all at 7.30pm. Wednesday 3 July, following 7.30pm show.  If you require our BSL, Audio Described or Captioned services, please book directly with Box Office. This is because there are often specific seats, which are held for each show to ensure you have the best experience possible. PLEASE NOTE - if a performance is marked as SOLD OUT - there may still be access seats available - so do get in touch. WORLD PREMIERE. Collaboration between Phelim McDermott and Philip Glass. Created by James Yeatman and Lauren Mooney. Directed by James Yeatman. Dramaturgy by Lauren Mooney.